There are currently 6 consumer reviews about El Pollo Loco available. Share your review. On 8/17/13 we were ta 495 S. Melrose Vista CA store, order #4088 After they served food, we found the hair in the food? We ask for assistant manager Marylen, she was rude, she sad; It's only hair?She did not apolagized, she did not compesate us , after 1/2 hrs of asking who is the manager ten Mr Jose come same rude as she is? He said he was aware about the hair, then Marylyn said its maybe a 'DOG" hair? she admit the worst statement to customer ? What Dogs and Dogs' hair has to do with El Polo Loco Resturaant? This place should be examened by Health Department No Apology, no compesetion, no sorry no thank you for choosing our location? I am writing about the #5972 on 101 east Manchester Ave; Los Angeles, CA 90003. I purchased the Wing Lovers for 4.69 this order was horrible and chicken wings burned all over. The vegetables and beans was also burned very bad. The store was closing, they served burned food to any customers coming at the time. I have always eaten here many times, never hads this ever happen to me before, I remain very, very sick and vomiting all over. Stomach is aching very bad, I do not know what was put in the food which cause me to remain sick. Im complaining the lady in henderson nevada branch stephanie A.K.A. Tilde...she is using different name Gaiety Mariano..she is illegal in USA.. I am writing this because I have been short changed on my order more than once at your Natomas CA restaurant off Northgate Blvd. When ordering items are missing from my order. The manager was quite rude. He gave his name as Jose. This occurred a month ago. When I first tried the restaurant the service was outstanding. The manager should show my concern towards customer complaints. I am beginning to reconsider whether or not to return to your restaurant and go to your competitors restaurant.go I will to a higher level if these corrections aren't addressed. 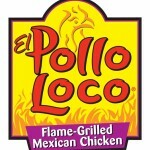 Please take a note that you are about to post a public review about El Pollo Loco corporate office on CorporateOffice.com. This review will be public, so please do not post any of your personal information on this website. If you would like to contact the corporate offices of El Pollo Loco, please use their contact information such as their phone number, website, and address listed above to contact them. However, sometimes staff from El Pollo Loco headquarters do read the reviews on this website.